Size: approx. 5 mm. Photo: 05/13/15, 9 pm. 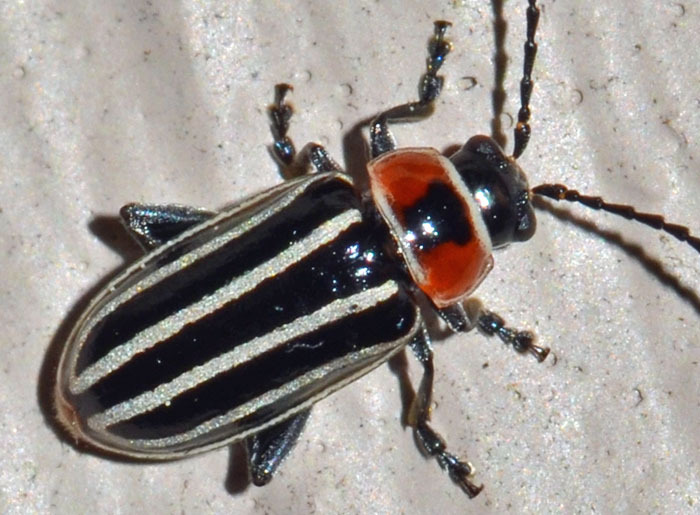 Another pretty flea beetle. Disonycha pensylvanica is usually found near aquatic habitats. Its typical hosts are Polygonum spp. including smartweed.